For awhile, the only real threat to the BMW M550i was the Mercedes-AMG E43. Those two were the best semi-hot luxury sedans in the segment. Neither car had to really worry about the Audi S6, their other German rival, because it was quite old and seriously lacking in comparison. 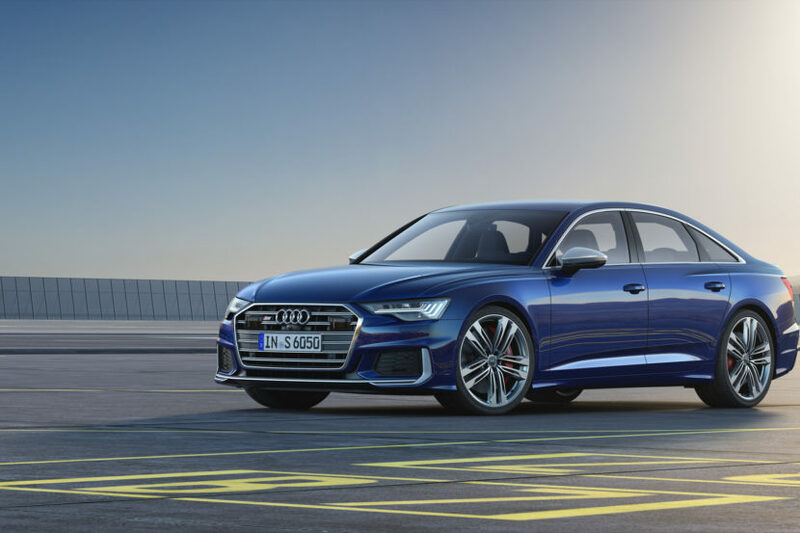 Now, though, the new Audi S6 is here and it seems like a tough competitor to both cars. What’s interesting about the new S6 compared to both its predecessors and its competitors is that it comes in two different flavors, depending on the market. In Europe, the new Audi S6 will come in TDI flavor, sporting a 3.0 liter V6 turbo-diesel. That diesel sixer makes 349 hp and a very healthy 516 lb-ft of torque. While it’s down on horsepower compared to its competitors, it buries them in torque. According to Audi, 0-62 mph comes in 5 seconds flat, which is actually quite slow for the segment but not too slow so as to make it boring. That diesel is actually quite the high-tech engine, too. It uses an EPC (Electrically-Powered Compressor), which is effectively an electric turbocharger, as well as a 48-volt mild-hybrid setup. So it might be an old-school oil-burner but it has some new tricks up its sleeves. Still, it’s not the most exciting of engines. If you want excitement, head over to either the North American, Asian or Middle Eastern markets, where the Audi S6 will get a better engine. 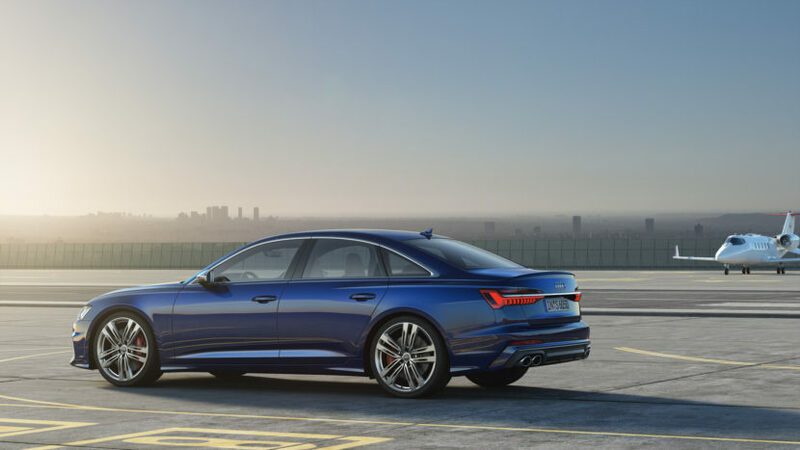 In those markets, and thankfully America is one of them, the S6 will get a 2.9 liter twin-turbocharged V6, the same engine that powers the Audi RS5. It makes 450 hp and 442 lb-ft of torque. That’s a bit down on power compared to the M550i, which makes 456 hp and 480 lb-ft. Also, the Bimmer’s engine is a more charismatic 4.4 liter twin-turbo V8. Still, the S6’s blown-six is a good engine and helps the RS5 be even faster than a similarly powered M4 Comp Pack. However, the gasoline S6 is said to take 4.5 seconds to get to 62 mph, which is a bit slower than the M550i. Which is a shame. 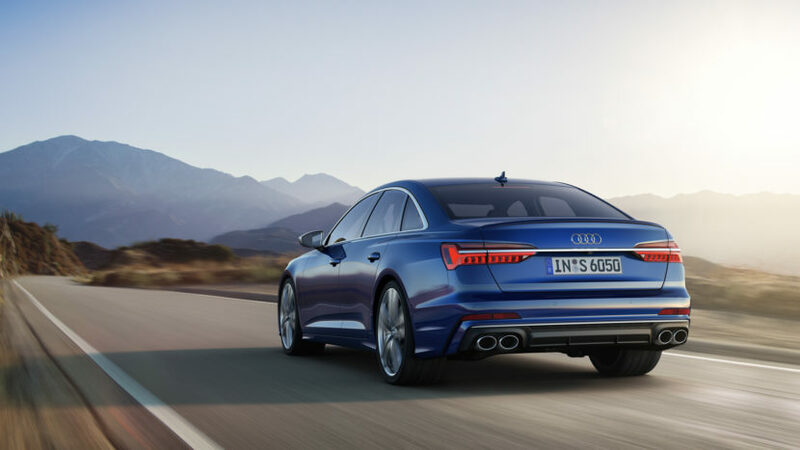 Audi had a good opportunity to make the S6 really quite fast and exciting, especially considering the last S6 had a monster twin-turbo V8, yet it seems to have squandered its performance potential. The new Audi S6 looks good, too. It’s sleek, modern and sporty looking. Personally, I like it better than the BMW M550i but that’s because the latter is just a bit too plain looking. The S6 is a bit sharper and, to these eyes, looks a bit better. Though, I won’t argue with anyone that chooses the Bimmer’s styling. Inside, the S6 is typical new Audi, with a very clean and modern design language and loads of tech. It now has two touchscreens for its MMI infotainment system and climate controls, as well as fully digital dials. The latter of which is something the 5 Series has yet to get in any model variant but will likely come with an LCI refresh. When we can get our hands on an S6, we’ll find out how the two stack up but, for now at least, it seems as if the old BMW M550i still has the performance advantage over the good looking but underpowered Audi S6.